1. I wonder how so many toy companies, especially Hasbro that have not be doing a lot of 3 3/4 inch action figures for the movies coming out, do they not realize that up and coming toy companies like Funko/Super 7 and BIF Bang Pow are filling the gaps for providing 3 3/4 inch action figures to the public. Interesting to note my children shun away from the big figures (6 inch and above) and started making me buy these FUNKO ReAction figures of 3 3/4 inch figures. 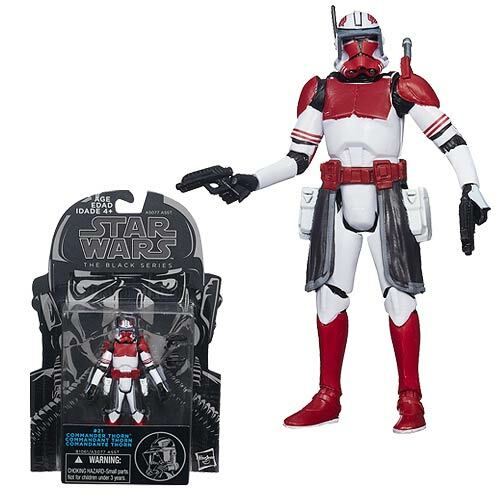 In your opinion, what Hasbro is doing with Star Wars Mission Series is not working for the 3 3/4 inch figures?? Two figures for $9.99! That is a deal for any father. The "birthday present price point" is (according to common toy vendor wisdom) about $15. So anything you can sell for that or under is usually a good price point. While Funko is a growing company with a roster of great licenses, they are (compared to Hasbro) a small company - basically, if you aren't Hasbro or Mattel or Jakks Pacific or LEGO, you're probably on the smaller side of things. For that reason, these other companies don't have as many mouths to feed or as high of a measurement to have a success. If you're Funko, you can do some modest runs on licenses and the return on investment doesn't need to be as big as it is for Hasbro. This is why you see Hasbro doing more mass-markety items, as part of the danger to collectors will be a company that needs to sell stuff to everybody instead of just a good niche audience. In short: Funko or NECA would give you Vlix and Jaxxon before Darth Vader #50, while Hasbro has to think about it for 30-40 years and may never actually produce such a thing until they lose the license or hire someone like me, specifically me. Also keep in mind, the Bif Bang Pow! runs are tiny - some of them are under 2,000 figures. Hasbro will never make an item in a run that low. 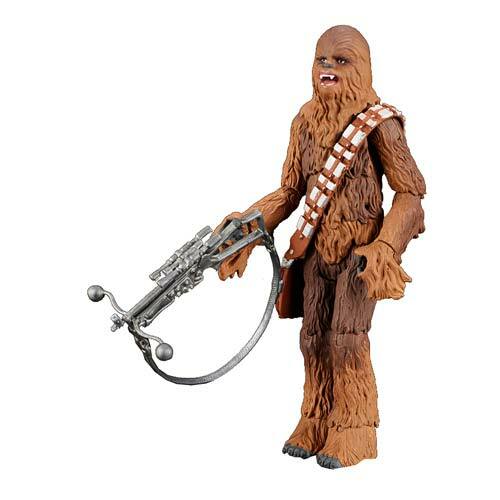 The 3 3/4-inch figure is a niche thing unless the new Star Wars movie changes that and I don't believe that any toy company is going to disrupt the toy business without coming up with a really amazing gimmick or a larger toy to drive sales. 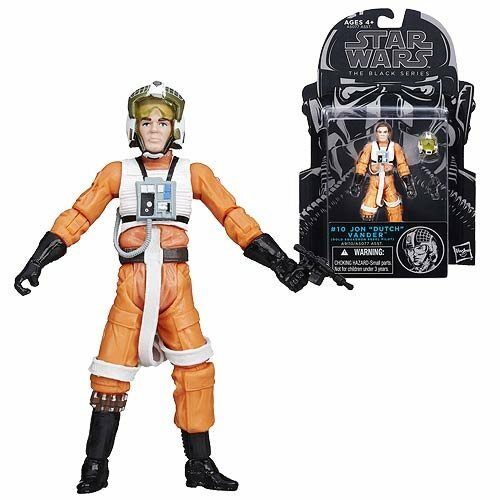 If you recall, the original point of the 3 3/4-inch figure was to serve as an accessory for the vehicles as a 12-inch scale X-Wing would prove to be too expensive for the customer of that era. That is to say, pre-collector. G.I. Joe in 1982 ran with the same basic idea - we're selling tanks, but we can sell army men to go with those tanks and cultivate a story around them. Over time the characters in these (and other) lines took off but ultimately what you wanted to do was to sell kids vehicles and playsets with better margins and higher price points. The figures were nice, but if you'll pardon the expression, not where the action was. In the late 1980s we saw Hasbro double-down on the aspirational out-of-reach toy with items like Fortress Maximus, the U.S.S. Flagg, and the Defiant Shuttle Complex serving as an out-of-reach item that got into kids' imaginations and probably had a lot to do with developing our unique group's bias toward what we think a toy line should be and why. We don't take into consideration that those jumbo toys were really marketing gambits used to try to convince retailers that they needed to be behind the line because Hasbro was clearly putting a lot of support behind it, and Hasbro doesn't remember why you need to do those ridiculous giant toys marketed to kids in order to wow them into settling for a lesser X-Wing or Landspeeder. Action figures in and of themselves aren't interesting. You need a Buzz Boar or Bugg or something to convince kids that the figures are worth a look - without a nifty stream of larger toys, an action figure is little more than a trading card or souvenir, a mere keepsake of a thing they saw on TV. The collectoratti have forgotten this, and Hasbro will have one or two "big" toys per year to really show off a pressworthy item. These would include your G.I. Joe Pit playset, or the big Millennium Falcon, or the giant Butterscotch pony, or even the recent Transformers titans like Metroplex and the soon-to-be-released Devastator. These items serve as a big marketing push for the smaller toys, too - but Star Wars hasn't had a lot of that in the last couple of years. Marvel, even less. 2. Why do you suppose that articulation has become an "all or nothing" kind of thing with Hasbro? 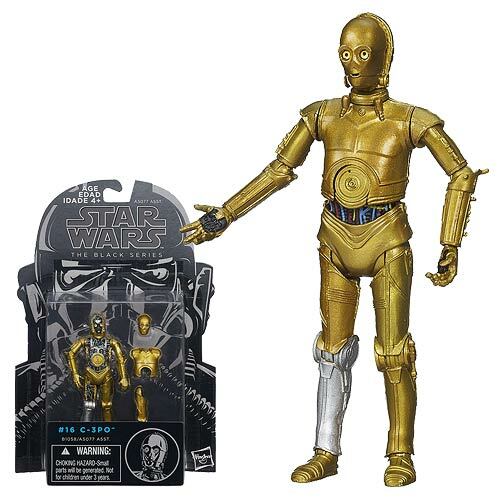 We either have the Black Series figures with (nearly) all of the articulation possible or the Legends line with (nearly) as little as possible to still be termed action figures. This hasn't been the case historically - in particular, I remember the Revenge of the Sith line with its sliding scale of articulation based on the character. I ask primarily because of my daughter. She's been collecting the smaller figures for much of her life and loves Rebels. After buying Kanan, though, she now refuses to buy any more Rebels/Legends figures because "He can't even hold his sword right." For her, elbows would make all the difference. It has made me think about my own collecting habits and what it would take to make me buy the budget figures. I think I could live with elbows and knees. Now, I realize that everyone would have different articulation points that they feel are "necessary," but I'm curious why you think Hasbro hasn't tried something in the middle rather than going all the way back to Kenner levels of articulation. It's money. It's always money. (And data.) Collectors tend to see things with collector eyes, even if kids are involved - but let's be honest, it's not "all or nothing." 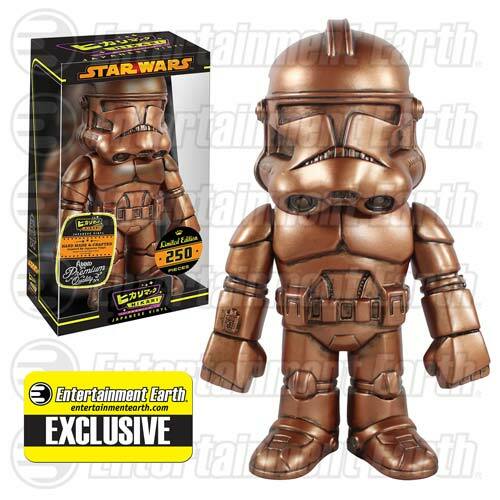 It's "let's make a toy at a price point for kids" versus "let's make a toy at a price point for collectors." We've seen evidence of this in other brands too, one of the more notable "splits" was Green Lantern which made big, cool figures for collectors and small, simple cheap figures for kids. Since the movie bombed it's sort of a bad example, but it shows the kind of thinking behind what's going on here - Hasbro is trying to make one line the "collector line," because a line divided amongst itself cannot stand. 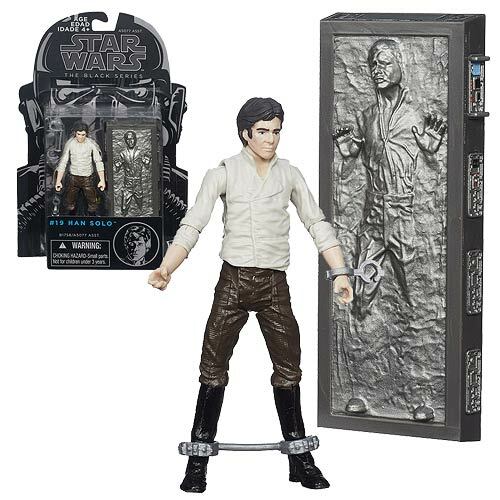 There aren't enough people out there who will buy everything anymore - maybe there will be again someday, but right now Hasbro is emphasizing price points and this is what you get. No customer looks at a product the same way as another - we're all different. As a kid I had no problems with my action figures having 5 joints because the figures and playsets didn't require such things - they fit, they sit, they stand, weapons fit in the hand. 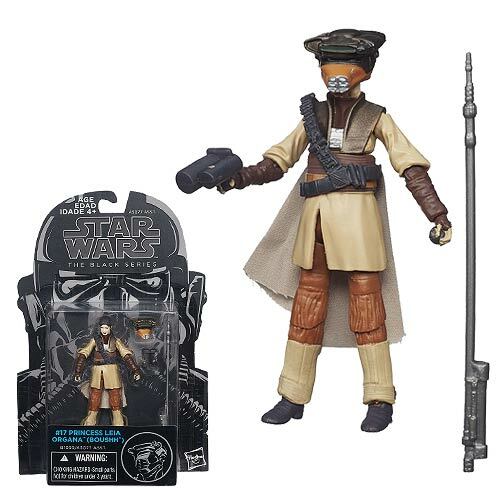 We've seen some "middle ground" figures in The Black Series, where Yoda had 5 joints, Ree-Yees had no ankles, and so on. It's happening, but my guess is you wanted more joints on your cheap figures and not fewer joints on your expensive figures. Collectors are a picky bunch - as we should be - and it's easy to ignore your critics when you've got success on your side as Hasbro arguably does. (I don't think the Command line can ignore its critics quite so easily.) 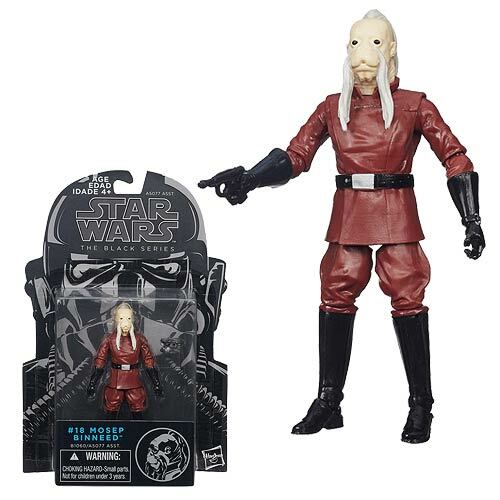 When you're at a big company with big benchmarks and big sales data to examine, you can't necessarily throw away your successes - and while I know and you know that much of the disappointment for The Black Series 3 3/4-inch figures come from poor packaging in terms of both quality and aesthetics as well as a pretty abysmal character selection, what Hasbro sees are other line segments performing well. Back in the 1990s when we got our first Expanded Universe figures, we were told we shouldn't expect more because they sold poorly - but the reality at retail was most stores never even received them thanks to previous waves of those "Collection 2" assortments sitting unsold for an entire year. 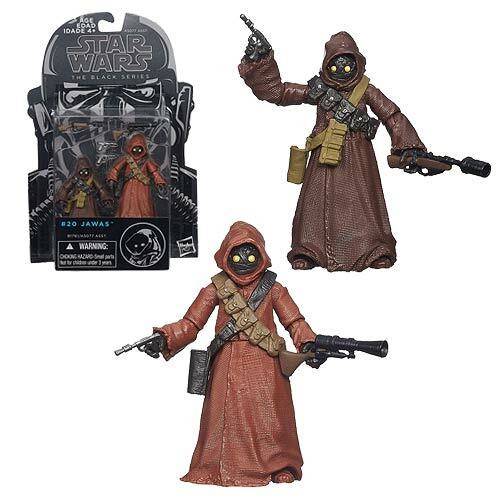 Hasbro's glass was half empty which they rounded up to completely empty, so we didn't get many new Expanded Universe toys unless they were based on main character concept art for several years. The takeaway from all of this is "Hasbro's gonna do what Hasbro wants to do." 3. When is the Disney exclusive R4-D23 coming out? And for how much? Is it only available at Disneyland? I actually am unable to find this information - if one of you dudes has it, please share! It's my understanding it's sold at D23 exclusively for around $13, but that could change - it's happening with R2-D60, after all. I got a couple of people write in over the last couple of weeks asking "how come you haven't used my question?" One surefire way to ensure you get your question in here is to ask something clearly and briefly. If you can ask a question in 1-2 sentences with a question mark at the end, that's perfect. If I can answer it in a similarly short fashion, even better. If it's a page printed out, I am operating from the assumption that all three readers of this column do not want to read that much on a Monday morning or late Sunday night. Since Star Wars has been on the light side, I'll let the few soda fiends out there know that some of the weird glass bottle sodas are turning up at Big Lots! for 75 cents, as are little plastic baskets that are basically perfectly sized to house 7-inch records for $1.30 a pop. Depending on how you spend your time, these things may be of some use for you. I've been stalking their aisles looking for new "dollar store" Transformers (Ultra Magnus, Cliffjumper, Skywarp) but have yet to find them here in the desert.